The announcement of Al-Qaida's new leadership, to plug the hole left by the assassination of Osama bin Laden, may be more than just a changing of the guard. Tapped to be the new leader, according to CNN, Saif al-Adel was at times strongly critical of bin Laden's style and choices, including the 9/11 attacks. Questions also remain about his alleged capture by Iran, and whether the Islamic regime may still have him in custody or under their control. The appointment has not been confirmed by al-Qaida and it's unclear whether this is an interim move. Longtime al-Qaida No. 2 Ayman al-Zawhiri remains the figure many consider likely to assume control of the terrorist group. In al-Adel, al-Qaida has someone experienced in terrorist operations with a hint of a pragmatic side. "We must completely halt all external actions until we sit down and consider the disaster we caused," al-Adel wrote about the 9/11 assault in 2002. "During six months, we only lost what we built in years." His effort to move al-Qaida forces over land to Iraq, would lead to his presumed 'capture' by the Iranian government, despite his continued operational efforts for the organization. Al-Adel was anything but the peace-loving counter to bin Laden, according to a chapter of "Al-Qaida's (Mis)Adventures in the Horn of Africa," a report by the Combating Terrorism Center at West Point. A former colonel in the Egyptian army, al-Adel was convicted in 1987 for his role in trying to recreate Egyptian Islamic Jihad [EIG] and to destroy the local parliament with a truck bomb and hijacked airplane. When al-Adel somehow left Egypt in 1988, he was on his way to Pakistan to join the nascent al-Qaida movement. He distinguished himself from other al-Qaida leaders, through both his soldierly professionalism and independent thinking. Appointed as al-Qaida's explosives and military trainer in 1991-92, he criticized the "lack of practical experience" and "over-enthusiasm" that EIG had exhibited in its campaign to change Egyptian society. Al-Adel was also a key player on a number of al-Qaida fronts. After training the group's activists in Pakistan and Afghanistan, he joined the 1993-94 effort to form training camps in Somalia and the ethnic Somali region of Ogaden, Ethiopia. In letters to al-Qaida leadership from the time, he advised how to expand operations in the area and recommended that Somalia become a home for the movement. From Somalia, al-Adel travelled to Yemen where Khalid Sheikh Muhammad claimed to have met him, and later ended up back in Afghanistan. On his return to al-Qaida's primary home, Khalid Sheikh Muhammad claimed that al-Adel was "assisting them with computer and media projects," as well as offering an advanced commando training course there in 1999. Like Abu-Musab al-Zarqawi, a close contact for whom he would later write a posthumous biography, al-Adel understands the importance of jihadi media. After the creation of Mu'askar al-Battar [Camp of al-Battar], an al-Qaida of the Arabian Peninsula publication, al-Adel contributed articles for the 'Security and Intelligence Operations' section. His contribution of the above-mentioned biography, revealed critical details about both his and Zarqawi's lives, and also showed the strong role he has played throughout al-Qaida's development. Although al-Adel criticized the 9/11 attacks, he participated in its planning and many international terrorist acts. He communicated with an al-Qaida cell in Saudi Arabia which carried out the bombings of the Dorrat al-Jadawel compound in 2003 in the Saudi capital of Riyadh. In early 2000, Australian investigators said that Saif was involved in a plot to assassinate local mining magnate and orthodox rabbi Joseph Gutnick. He also carried out attacks in Somalia and led the early resistance against invading American forces in Kandahar. Attacks like these show that he is no softie. "Al-Adel is a killer. He will use violence for the sake of violence," said Rohan Gunaratna, head of the International Center for Political Violence and Terrorism Research in Singapore. "He is the most ruthless leader in al-Qaida. When he was head of security intelligence, he rounded up so many of the spies and executed them." Al-Adel's criticism of Egyptian terrorist organizations may show where he wants to lead. "Moreover, they lacked the necessary expertise, a short-term and long-term plan in advance, and a vision to employ the nation's human resources at the highest level," al-Adel stated in Zarqawi's biography. "Change required an ideology, human resources, funds, and sincere, experienced, and seasoned leadership that possessed a vision and a plan, which would define its goals and means. The banner of such leadership should be clear." Al-Adel's vision remains up for debate, but he may push the organization beyond scattered attacks and to the military precision for which he became known. "It is important for me to clarify that Al-Qaeda and its leader never said that they were going to defeat the Americans on their own," he wrote in a recent article translated by the Middle East Media Research Institute (MEMRI). "Rather, they are working to inspire the ummah, incite it [to wage war], and act as a vanguard for it in this blessed jihad, to weaken the greatest idol. From there on, the ummah will rise up and liberate itself from the idols that weigh heavily on its soul [i.e., the Arab rulers]." That statement came after 10 years of post-9/11 experience. 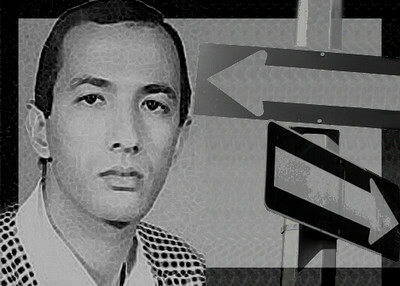 In general, al-Adel's recent article is much less critical of bin Laden's leadership than his comments in 2002, even going so far as to say, "The attacks on the Pentagon and the American homeland, or Al-Qaeda's theory of attacking the U.S... will be studied in military academies alongside Sun Tsu's book and the idea of the Trojan Horse." "Wasn't Western culture altogether prepared for collapse, with the collapse of the World Trade Center towers? Wasn't the attack on this economic symbol an indication for anyone with eyes to see, of the importance of economic attrition," he writes. "Isn't the threat on the new Silk Route, the oil lines, an indication of what the Western world is destined to suffer should it lose them, and of the right of those who control [the oil] to decide its appropriate price?"